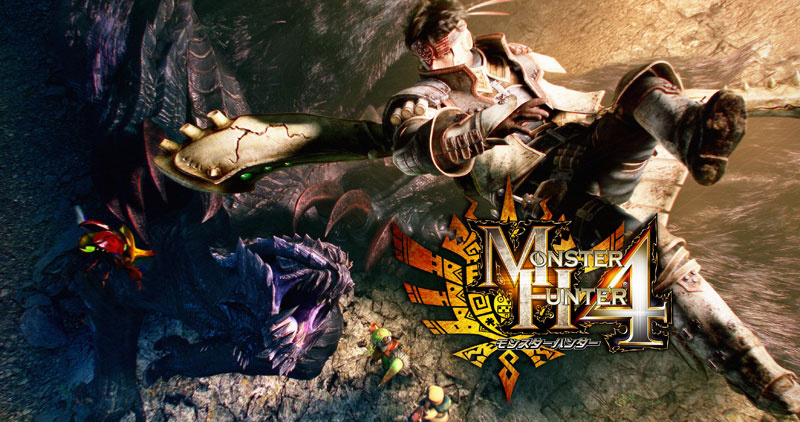 Capcom Cuts Profit Projections By Over 50%, Despite "Strong Sales of Monster Hunter 4"
Ahead of its yearly financial results that will be reported in the coming weeks, Capcom has issued an update revising its profit projections down by over 50%. It's a blow for the Japanese company ahead of its results, somewhat reminiscent of Nintendo lowering projections prior to its Q3 results, albeit in this case Capcom's not recording a full loss. Capcom's original yearly projection was for a net profit of 6.8 billion yen (roughly $66 million) which has now been cut to 3.3 billion yen (roughly $32 million). This is despite the strong performance of Monster Hunter 4 helping to drive net sales up 4.6%; the damage is partially done by the estimated ordinary income profit — the nuts and bolts of Capcom's business — dropping by 16.7%. Why is Capcom dropping its profit projections despite sales going up? Two main reasons are given — a significant "special" loss of 5 billion yen (roughly $48 million) has been set aside for "post business structural improvement expenses", while its mobile business and Monster Hunter Frontier G underperformed. Due to rapid changes taking place in the market for games, Capcom is building a sound base for earnings by reorganizing the product development framework and improving development processes. These are two core elements of the company's operations. The objective of these activities is to earn consistent earnings in each fiscal year. However, these initiatives have not yet started to produce benefits mainly in the Mobile Contents. As a result, Capcom has decided to post business structural improvement expenses of approximately 5,000 million yen in consolidated, and approximately 4,300 million yen in non-consolidated forecast, following a comprehensive examination of prospects for recovering the cost of certain fixed assets. ...The forecast for consolidated sales has been increased mainly because of strong sales of "Monster Hunter 4", the biggest title in Capcom's home video games business, and the highly successful pachislo title "Monster Hunter Gekka Raimei". On the other hand, the operating income and ordinary income forecasts have been lowered because of a decline in profitability. The primary reasons for this decline are below expectations of products in the highly profitable mobile contents and "Monster Hunter Frontier G" online game. The net income forecast has been lowered for these reasons as well as to incorporate the special loss explained in the previous section. Capcom is still turning a profit, ultimately, but against a backdrop of elements of its business struggling. These appear to be challenging times for plenty of big businesses in gaming; Nintendo's yearly results will be revealed on 7th May. Ha ha! 'Mobile Games' Ha ha ha ha ha! ha ha ha ha ! ( We don't want Mobile games - we want DEDICATED Console Quality) . . .and we should really thank Capcom here for their support in bringing MH3U and MH4U to the West - event to the point of employing MH Community Officers to help promote the games and run MH themed events. . . If I remember correctly, Monster Hunter Frontier G hasn't came out yet for the Vita. I think that will be the true test of the game and maybe even Vita. Japan doesn't really care for consoles as much anywhere, so I'm surprised the Vita version wasn't as pritorizied as the ps3 & Wii U version. Has Monster Hunter Frontier G even come out on any console anywhere? @epicdude12302 It came out on PS3 and Wii U in Japan last Fall. @Mk_II Mobile game revenue outside of ad placement is very low. IGN or Polygon done a piece on it a while back. Unless you make a hit f2p game with ads all over it profit is average at best. Also branding is not as powerful on the mobile market as it is on consoles. That said its not a bad idea but I don't think its worth Nintendo taking resources away from their main consoles for marginal returns. They sure must feel smart for dumping all that MH4 money on mobile right now. I wish I could say I believed underperforming mobile titles would make these companies stop ruining their franchises with awful mobile games, but that would be too good. More likely that they'll find some stupid reason to invest even more money in it. If only there was some kind of "Robot" that could make money for Capcom. Capcom...Capcom...Capcom... you have been one of my favorite companies for a long time, but it will never make sense to me why you guys are hurting financially when there is a series that people are trying to throw money at you for.... I don't even think I have to say anymore. Serve em right! That's what you get for practically throwing away Mega Man and turning Resident Evil into basically garbage. I won't even get started on what they did to Devil May Cry. I think I'm the only person left on the planet who doesn't hate Capcom at this point. Monster Hunter rocks!! Make a real Resident Evil game and we'll talk Capcom. Oh my. Well there you have it. Last time I played, Resident Evil Revealations was a "real" RE game along with RE5 and 6. RE 5 and 6 stories may be subpar but the basic gameplay still stands. Also I only play the PC versions anymore as I can't stand a sub 60fps RE game on consoles anymore. Are people (especially at Capcom) still baffled that the mobile market is all smoke and mirrors ? Its unreasonable, unexplainable hype that sells games on there, not the games itself. If people would look rationally at some of these games, the market wouldnt boom like this. Good for the lazy devs, bad for the rest of the industry. Capcom staff, make a mental note: continuing a beloved console franchise (im looking at you Breath of Fire) on a smartphone while ALSO abandoning everything that made it great might not have been the smartest idea. But i guess you guys are used to make loads and loads of stupid decisions by now. Not surprising Capcom's Mobile is failing. (All they need to do is support the iOS controller API and it would be fine). I hate what this company has become. I actually just traded MH3 Ultimate into Gamestop, something I never do. The game just didn't do it for me at all. Well they could always release a version of street fighter with three never before seen pixels. @Dreamz really? It's still the best game out right now in my opinion has some of the best multiplayer around and strangely it's on a Nintendo platform. Maybe you were playing it by yourself? Maybe Capcom needs to look into what S-E just discovered — there is long-term success in doing well what you have traditionally done well. I really do think their franchises have just been pissed all over. Why dont they do a megaman? RE really did just get constipated and die and DMC i dont even know. yes the mobile market isn't a revenue generator for huge budget veterans in the slightest. What keeps it relevant is that it is a breeding ground for much smaller developers who are trying new things BECAuse of the limitations of that hardware which makes for some neat experiences. For big AAA companies it makes much more sense to have tiny teams and low budgets trying new things there acting only as advertising for real games on other platforms. Dumping money into anything big for mobile is just a black hole, but I wouldn't under estimate what it's done for the games industry in general. I miss the glorious days of Capcom of the GC era, those were the days. But I guess what we have now is what happens when you're too greedy and just care about the money. They could learn a valuable lesson with this though: Stick to the 3DS! (at least in the hanheld market). Capcom heres a tip RELEASE MONSTER HUNTER IN THE WEST. It isnt if monster hunter has go hours and hours of dialog to translate. What's the next one, Capcom? You're not alone. However I think I might be the only one who doesn't hate Capcom AND legitimately loves mobile gaming (Asphalt 8 is way too fun). Exactly. Mobile games aren't the money machines investors believe them to be. Nowadays, the only game I really care about from Capcom is Street Fighter. @navonod18 too bad their top engineer already left the company. its too bad that they don't have a certain blue bomber that they could use to boost sales at the snap of their fingers — oh, wait! It makes one wonder what companies are making money on mobile since the platform is viable in Japan since bigger companies like Capcom aren't making a lot. Weird. And here I was thinking that Monster Hunter was selling like the food that the cat chef sells in the game. Sounds like good news to me. The sooner capcom goes under and is ultimately absorbed by nintendo, the better off everyone will be. @Bryon15 And what makes you think Nintendo would be the one to scoop them up? They have some valuable IPs, so tons of companies would want to get their hands on Capcom. Also, Capcom could be broken up and have its IPs and assets sold bit by bit like what happened to Take Two and Midway. If Capcom did go under, Nintendo could come up a loser and get nothing if Capcom either gets bought by Sony or Microsoft or by a third-party that does not generally put their games on Nintendo platforms. Plus, even if Nintendo did by Capcom, why does everyone thing they will magically revive Mega Man Legends and other series like that? Nintendo can't even put out a new F-Zero despite fans asking for it for years. I like Nintendo, but they are not a savior who will revive Capcom even if they did buy them. There are tons of Nintendo Ips that have sat on the shelf for years even though fans want them revived. 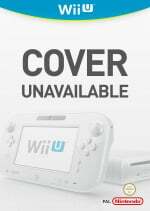 I would rather see Nintendo focus on that before they buy anyone up. It seem all Capcom care about these days is Monster Hunter, Street Fighter and Resident Evil. They have so many great IP's that they've let fall by the wayside. @Mk_II Seriously, who thought of the idea of putting games on phones. Sure it existed before smartphones but that was on low quality. The reason why games on phones suffer are for two reasons. 1.Competition on the phone gaming is harsh. There are so many games that people won't even know what they are and by the time they do, it barely does much of the profit. Take crush the castle for example, that was the original concept for a puzzle game on the phone and angry birds was just a plain rip off of it and that game did it even better. 2.Speaking of which, many of these games are clones and endless runners are perfect examples.